We have a broken train system in San Francisco. We’ve invested untold dollars in having dedicated tracks, a subway, and of course train cars. Yet the trains move slowly; they don’t arrive regularly, either arriving all at once or not for ages; travel time is slow and unpredictable; they’re frequently packed beyond capacity or else practically empty. It doesn’t make sense to have this substantial infrastructure investment that just doesn’t work. So how do we fix it? At a recent meeting of close to 30 transit riders, we started by listing out the challenges. Muni has apparently been working on its Automatic Train Control System (ATCS) for about 10 years — what are the challenges? The new LRV4s need re-configuration. While many riders are okay with the roomy layout, the side-facing “slider seats” can be problematic for many seniors, the disabled, and people dealing with chronic pain. Where’s the cell phone service promised to us over 2 years ago? Lack of connection is particularly problematic when riders are stuck in the tunnel for unknown periods of time. 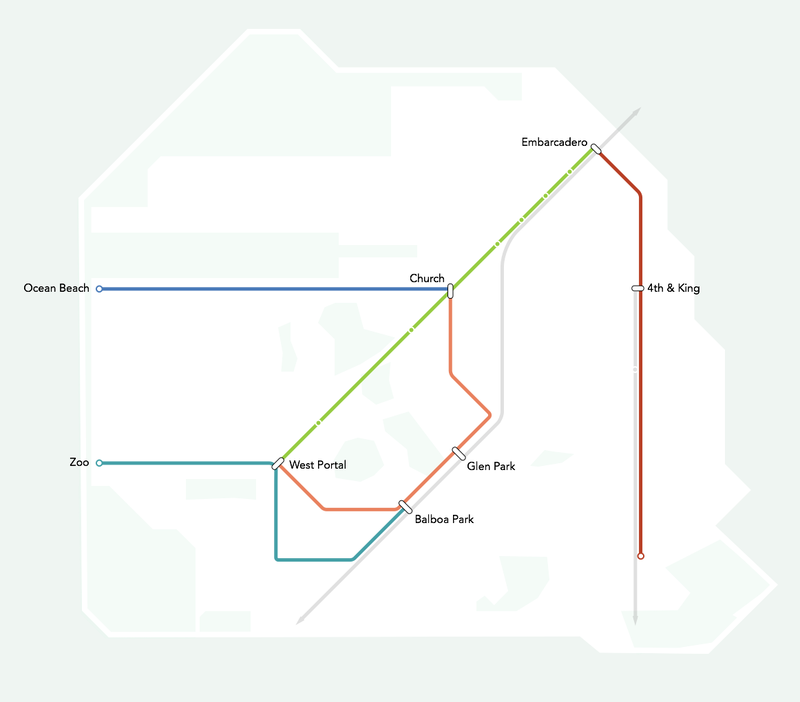 When can we have the easy transfer between BART and Muni at Civic Center and at Embarcadero, as intended? During afternoon rush hour, trains are often packed beyond capacity — causing more delays due to cramming trains and holding doors. When packed trains pass up riders in the rush-hour subway, people start looking for other ways to get home. We have huge subway platforms — can we have longer trains? The solutions to many of these problems seem almost too obvious. SFMTA needs to invest in constant preventative maintenance. Perhaps SFMTA should invest in more strategic emergency response teams to make service disruptions less dire when something goes wrong. There needs to be better line management, to adjust service in real time and smooth it out. 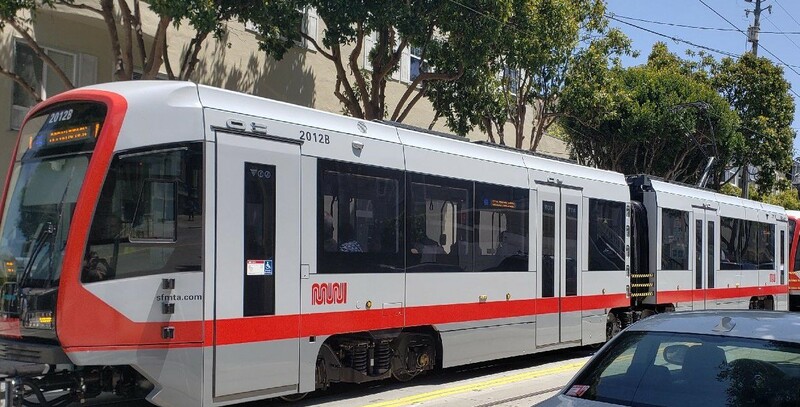 Are these fixes enough to provide the speed, reliability, and frequency we need in order to have a functioning Muni Metro system? It’s possible. The biggest downside to this proposal is having to transfer. With limited elevators, that poses a real accessibility problem. Even the relatively low-ridership J-Church has 20,000 daily passengers who would transfer. Also, most Muni riders are skeptical of transferring, since we’re used to unreliable service. But what if it really meant reliable subway service every 2 minutes? What if we could actually have a J-Church or an M-Oceanview come every 4 minutes on the surface routes? Transferring might become more acceptable. At our meeting, we had the pleasure of exploring possibilities with board member ReeD Martin and his M-Market concept. He pointed out that if we just start pulling one line out of the tunnel at a time, the benefits would be minimal. But once you separate all street service from subway service, you see a dramatic improvement in service frequency, speed, and reliability — without having to invest in more vehicles or drivers. Greg Riessen, former SFMTA engineer, also shared a vision of re-routing the J-Church, possibly from Balboa to Church and Market, and then turning left to go outbound along the N line, beefing up service on a crowded line. Taking a fresh look at our map and our needs, unconstrained by present-day realities, opens up a lot of exciting options. We discussed extending the K-Ingleside from Ocean Ave. to Geneva, to meet up with the T-Third. Some dreamed of a day when the Central Freeway could come down, making room for the N-Judah to continue down Duboce to Division, and on to SOMA via King Street. San Francisco is only growing denser and is already suffering with inadequate public transit service. We need to think big about where the next concentrations of people, jobs, and cultural experiences are, and be ready to move ever more people around. To get around in a reasonable amount of time, we need a network of Rapid lines that gets end to end in 30 minutes by 2030. 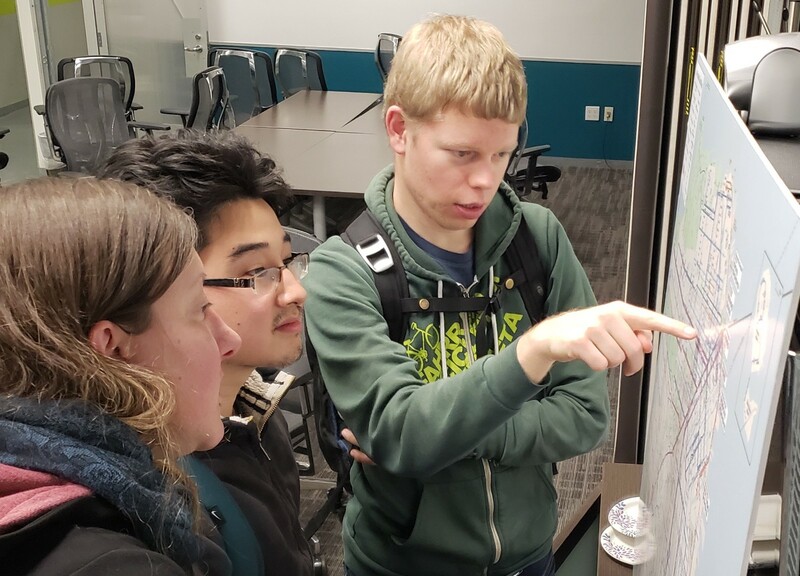 Through workshops like this one and outreach across the city, San Francisco Transit Riders is evaluating what Muni routes should be made rapid (and what that means). We want to build a network that makes the most sense to reach all corners of the city. A network by definition means more transfers and fewer single-seat rides, but it can work when the transfers are relatively painless. We also have heard from SFMTA Board Chair Malcolm Heinicke that it’s time to evaluate the possibility of getting riders to transfer to the subway, to smooth out service. 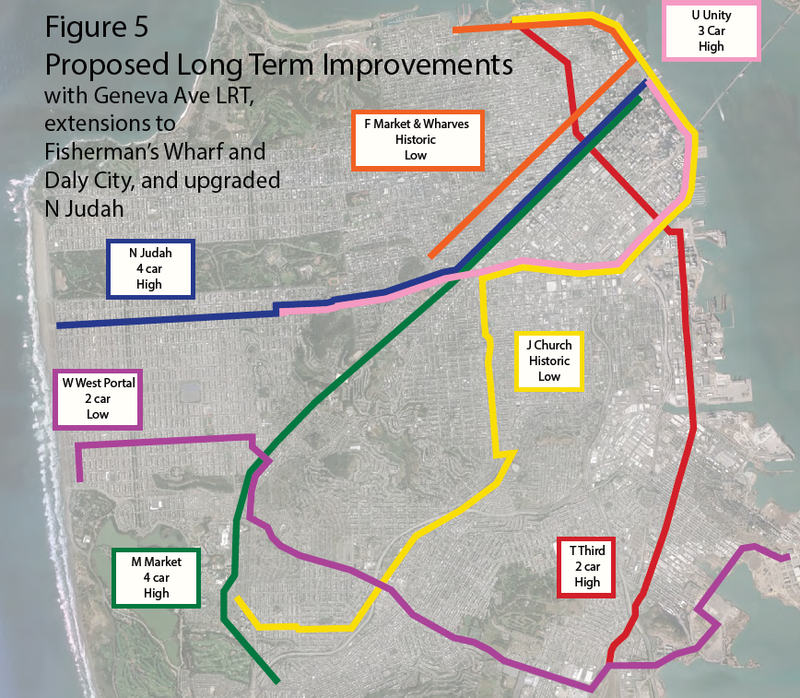 There is an opportunity now to re-envision our Muni Metro rail. What do you think?